Of all of the reasons that Ohio State is favored to beat Penn State this weekend, perhaps one statistic is the most meaningful. Without a doubt Penn State has to do a lot of things right in the opening 30 minutes for the final two quarters to matter. That will mean moving the ball on offense and finishing drives, playing solid defense and preventing big plays. 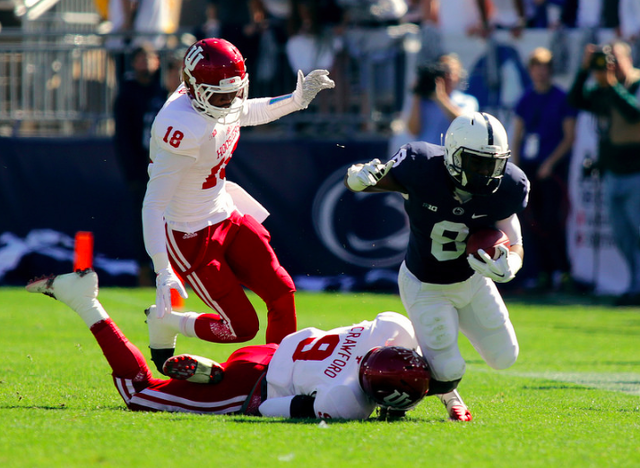 Maybe something Penn State has gotten better at over the past few weeks, but a tall task against the Buckeyes. But if the Nittany Lions can get to the half within reach of the nation's top team, it will probably be the third quarter that decides the game. So far this season Penn State has scored 13 points in the middle 15 minutes of regulation. Just 13 points to open the second half all year. In comparison Ohio State has scored 62 points in the same quarter over the same span. In fact, the Buckeyes are scoring 59.7% of their points in the second half while Penn State is accounting for just 35% of its scoring in the final 30 minutes of play. Ohio State's scoring by quarter, 17%, 23%, 28% and 32%. Penn State's scoring by quarter for comparison; 23%, 42%, 8% and 27%. Simply put, Ohio State scores the most points during the span of time Penn State scores the least. Not an ideal formula for pulling off the upset. Why the Nittany Lions struggle is a little less easy to nail down, why Ohio State pulls away is something James Franklin understands very well. "I think that's a great example of their depth and their talent," Franklin said on Tuesday. "They wear people down. It's no different than a lot of times in my past where you'd have a 1-A team playing maybe a 1-AA team and a lot of those 1-AA teams can be competitive for a half but you start to wear people down, and that's what you've seen at places like Ohio State and what you've seen on film. They've been real competitive in the first half, and they've worn people down." The key to flipping the script is two-fold. Penn State offense has to stay on the field to keep the defense fresh. That's a tall task, but nothing about trying to beat Ohio State is easy. If the Nittany Lions can build momentum early in the second 30 minutes of play that will go along way towards staying in the game. Penn State's defense can probably hang with anyone in the nation, but only for so long if they don't spend time on the sideline. "You look at Ohio State, a lot of their scoring in the second half are big plays," Franklin added. "Their tailback, it seems like every game he has two or three runs of 60 yards or more. So being able to stop the big plays if something is really important -- I think you guys remember last year going into the Indiana game, their running back had rushed for over 100 yards 10 straight games, had big runs, and we were able to help there." "That's something our defense has done a good job. We put a huge priority on it every single week, creating big plays with our offense, stopping big plays with our defense, and that's going to be really important this week because they are fast. They are fast at wide out. They are fast at running back. They are big and physical on the offensive line." So no, it's not a shocking revelation that Penn State has to play a complete game on Saturday to win against the No. 1 team in the nation. But staying close for the first half is truly only half the battle. The real test is when the clock starts ticking down again for the final 30 minutes of regulation. With three fatal crashes in the past two years along just one State College road, there has been a call for change. 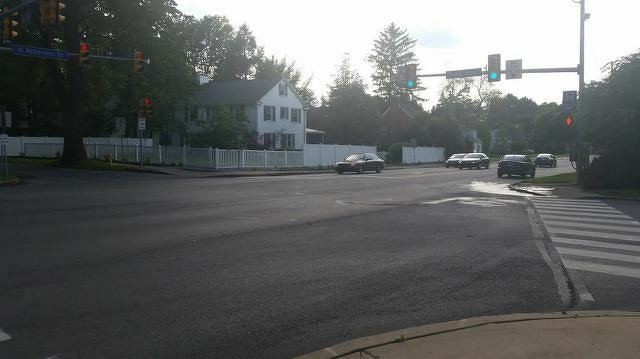 Working together, the College of Communications, Sustainable Communities Collaborative, and the State College Police Department have created a campaign to raise awareness of traffic safety in State College, specifically at the intersection of Atherton Street and Park Avenue.